Epcot’s International Flower and Garden Festival, 2014. May. Image by The Garden Maiden, copyright 2014. 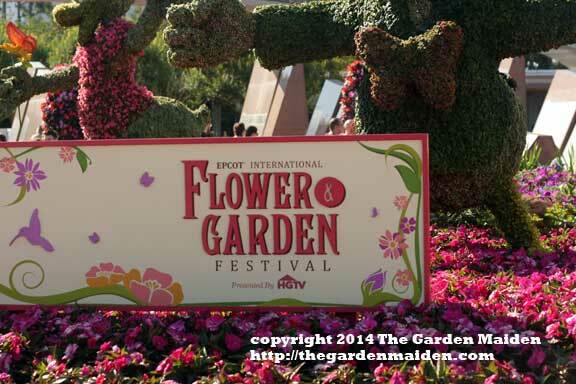 In May I attended the Epcot International Flower and Garden Festival. It was my first time in several years and it was great to be back! Pluto, Minnie and Mickey topiary. Epcot’s International Flower and Garden Festival, 2014. May. Image by The Garden Maiden, copyright 2014. 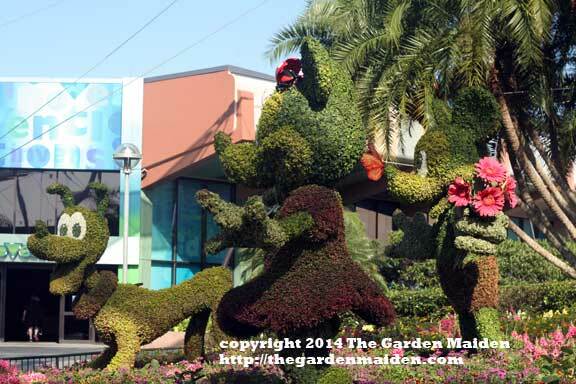 The topiaries are always amazing and fun showing timeless Disney characters from book and film. Tow Mater topiary. Epcot’s International Flower and Garden Festival, 2014. May. 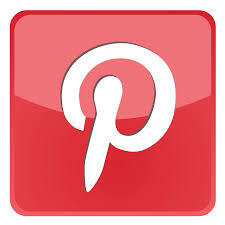 Image by The Garden Maiden, copyright 2014. There are many fun photo opportunities and surprises around every corner. 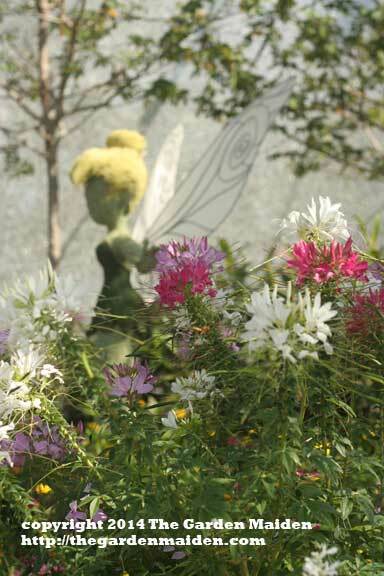 The work done by the Disney cast members and horticulture team is creative and detailed. 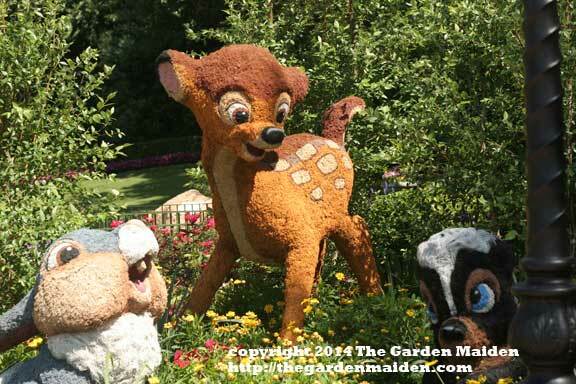 Bambi topiary. Epcot’s International Flower and Garden Festival, 2014. May. Image by The Garden Maiden, copyright 2014. I waited several minutes to get a photo of Bambi and friends as there were throngs of folks waiting to get their photo taken with this arrangement. Tinkerbell topiary. Epcot’s International Flower and Garden Festival, 2014. May. 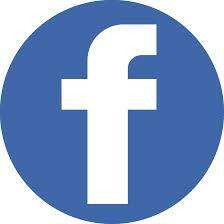 Image by The Garden Maiden, copyright 2014. Some topiary are hidden just out of view making spotting them a nice surprise! Peter Pan topiary. 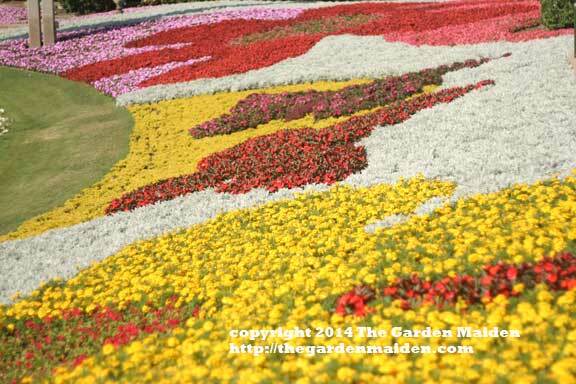 Epcot’s International Flower and Garden Festival, 2014. May. Image by The Garden Maiden, copyright 2014. You don’t want to forget to look up! 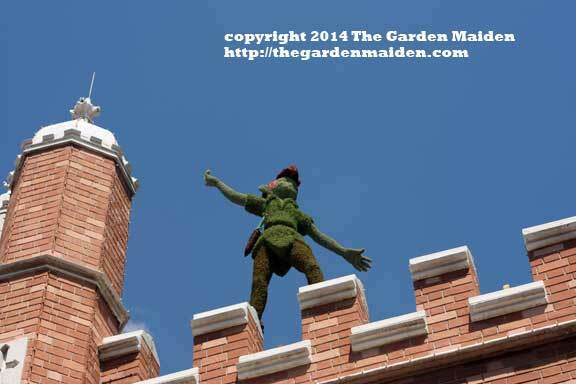 Peter Pan could be found atop one of the buildings near the Rose and Crown Pub. I happened to notice him while waiting for a beer with my husband. Monsters, Inc topiary. 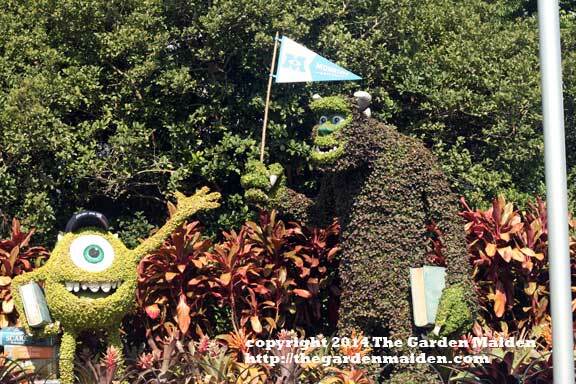 Epcot’s International Flower and Garden Festival, 2014. May. Image by The Garden Maiden, copyright 2014. I hope that I will be able to attend this fun and informative festival sooner, rather than later. There was great food and lots of fun. Of course Disney is expensive, so it may be a couple of years. 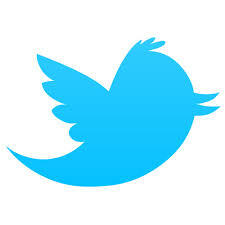 If you have never been, I highly recommend going. 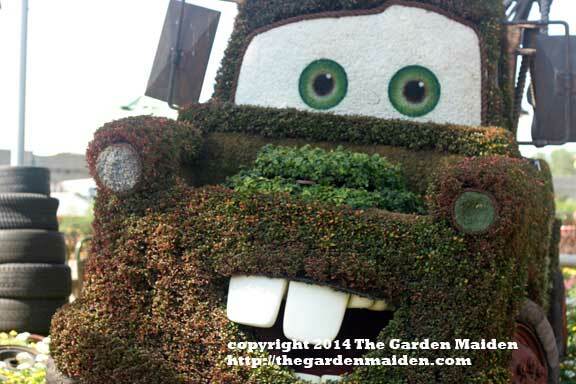 I’d be interested to know if any of you have tried your hand with creative topiary, particularly Disney-themed?